New Delhi(web team): In the second leg of the three nation round-up, Prime minister Narendra modi on Sunday arrived in Germany, where India is a partner country in its international fair. Modi will meet German business leaders. Business and technology will be Modi's focus with intent of attracting participation in 'Make in India' initiative. 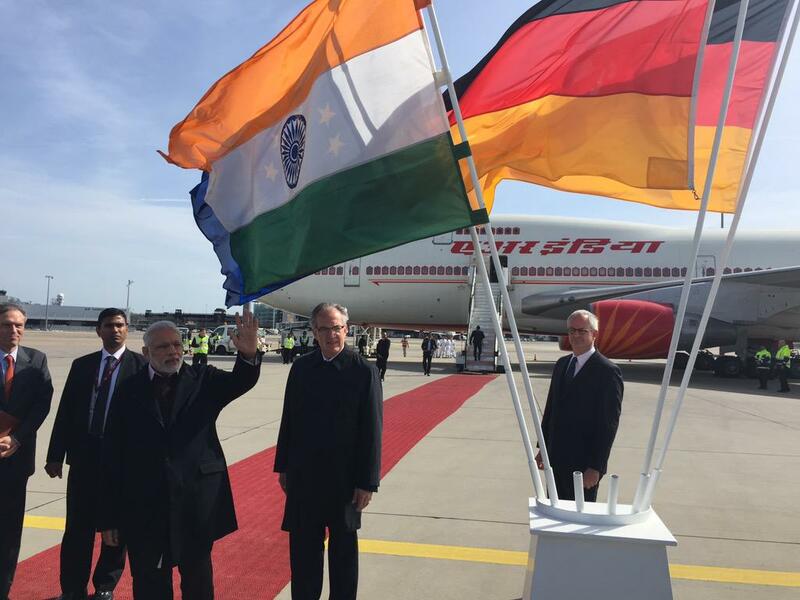 Upon his arrival at the Hannover Langenhagen Airport, the Prime Minister was greeted by Germany Ambassador to India Michael Steiner, Indian envoy Vijay Gokhale, Chief of Protocol Ambassador Juergen Mertens, Consul General Dr Vidhu P. Nair, among other dignitaries. After landing, Prime Minister Modi also tweeted a greeting. “Hallo Germany! Reached Hannover a short while ago,” he wrote, also posting a photo of his arrival. Modi will visit the Hannover Fair where India is a partner country this year. About 400 Indian companies are participating in the fair which will see the presence of about 100-120 Indian CEOs besides about 3000 German delegates. Hallo Germany! Reached Hannover a short while ago. Thank you France! Substantial ground was covered during my visit. Thankful to French Govt & people. Will always cherish the enthusiasm. Prime Minister Narendra Modi thanked France and wrapped up his first visit here that saw the two nations elevate their strategic ties to a new level as they agreed on a deal for 36 Rafale fighter jets and decided to move ahead with the log-jammed Jaitapur nuclear project. "Thank you France! Substantial ground was covered during my visit. Thankful to French Govt & people. 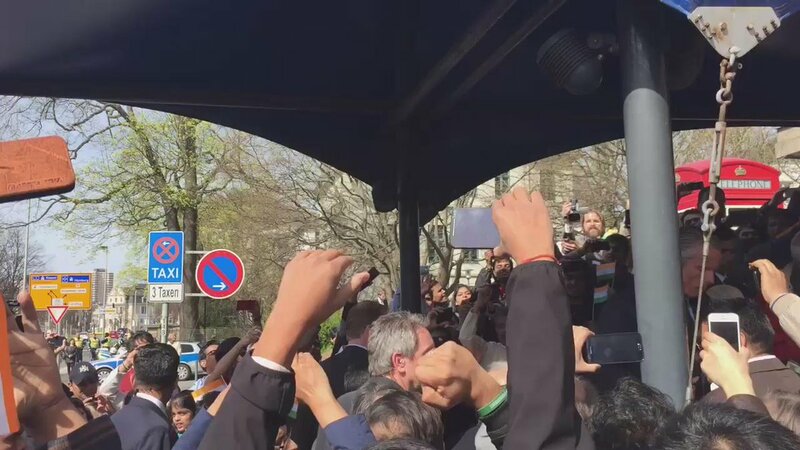 Will always cherish the enthusiasm," Modi tweeted in both English and French while leaving Paris for Germany. Prime Minister Narendra Modi, who wound up his first visit to France, gifted President Francois Hollande a painting titled 'Tree of Life' which reflects the traditional societal respect for nature in India.